include: "Head Like A Hole". shows. Stand out tracks include: "Wish" etc. 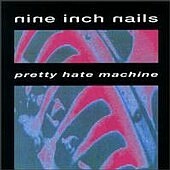 Nine Inch Nails's second E.P, "Fixed" was made up of remixes of songs that appeared on the "Broken" E.P. Stand out tracks include: "Happiness In Slavery" and "Wish". of "Hurt". Stand out tracks include: "Hurt", "Piggy" and "Herresy". Fragile". Stand out tracks include: "The Wretched", "Into The Void", "La Mer" and "Starfuckers Inc.". Wretched", "Where Is Everybody?" and even a cover of "Metal" by Gary Numan.